Some of us have been composing since Christmas and we have some cracking tunes to rehearse this new year. 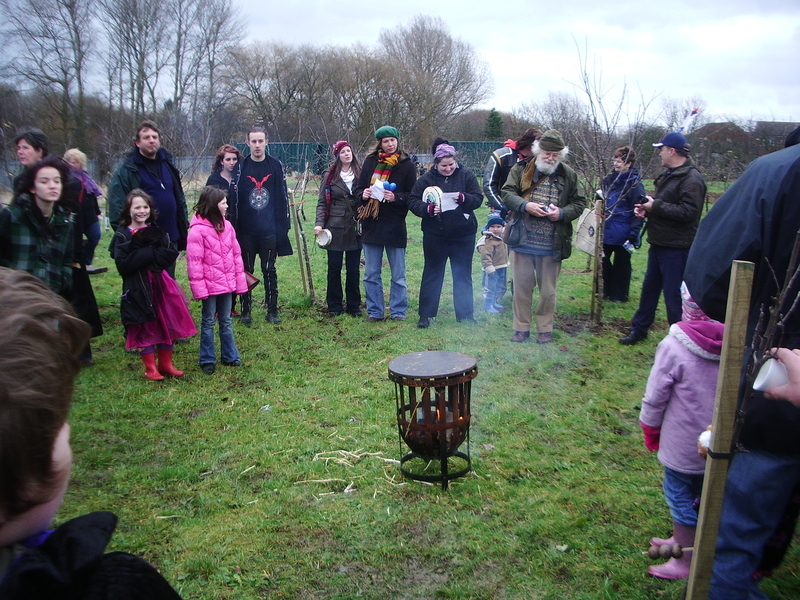 A few of the band braved the cold on January 13th to play at a Wassailing at Pickering Road Community Orchard for the Raving Maes to dance to. 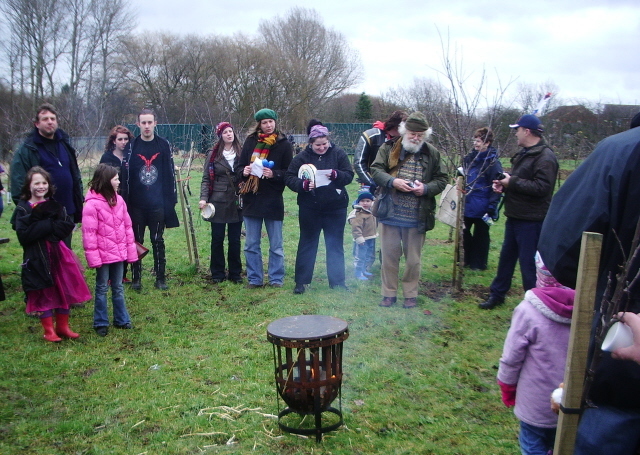 It is the first wassailing held at the orchard – and it was a great sucess with around 70 people turning up to put toast on trees and pour cider on the roots of the young apple trees. Hopefully the first of many to come there. 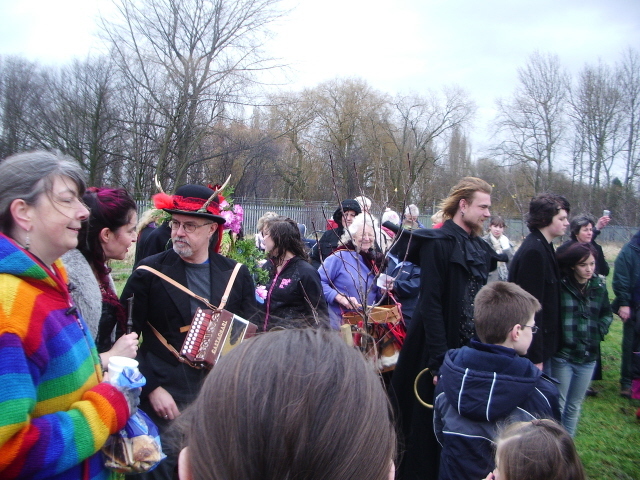 Lots of bookings too and some possible studio time at Easter to record some tunes, what with playing for the Raving Maes as well it looks like 2008 is going to be a busy year for us.